The Watsonville Band, now the Watsonville Community Band, is a large community band home-based in the center of the Monterey Bay area of the central California coast. It performs several times a year around the Monterey Bay area and has twice performed for former President Bill Clinton: once at the White House and once at the dedication of the new CSUMB campus. The band also played for Pope John-Paul II in Laguna Seca, CA. Yvonne and Norman started with the WB at the beginning of 2000 with Yvonne on bass trombone and Norm on euphonium. Over the 2½ years we participated with the group, Yvonne also played euphonium and percussion while Norm also played bass trombone, euphonium, percussion, French horn, and tuba. At the time, the band was directed by the late Sylvester "Mac" McElroy. 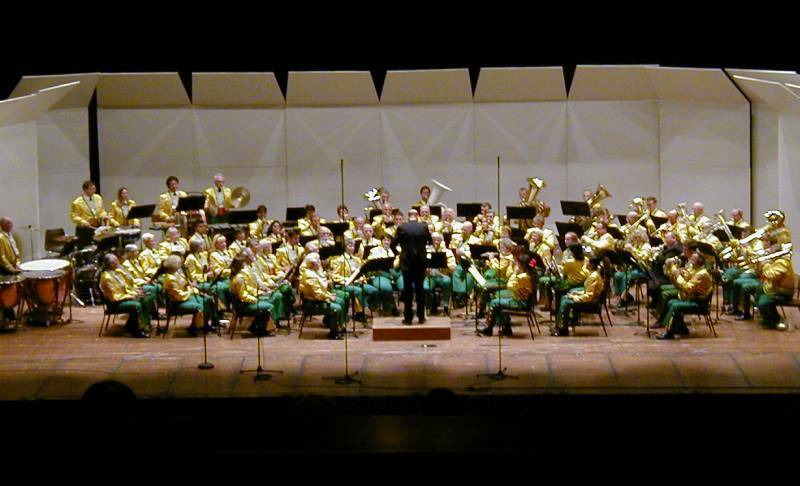 In performance on April 12, 2000, Norman is on French horn sitting in the fifth chair from the right in the third row and Yvonne is on bass trombone behind him (in front of the tuba farthest right).